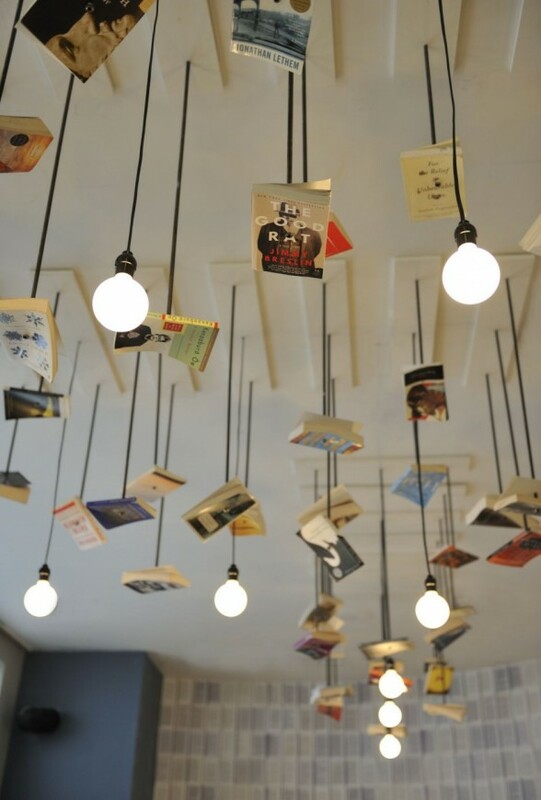 This is an alternative solution between throwing away and keeping your old books forever in the shelves. Just hang up them to the ceiling. It will be spicy and very original interior detail! 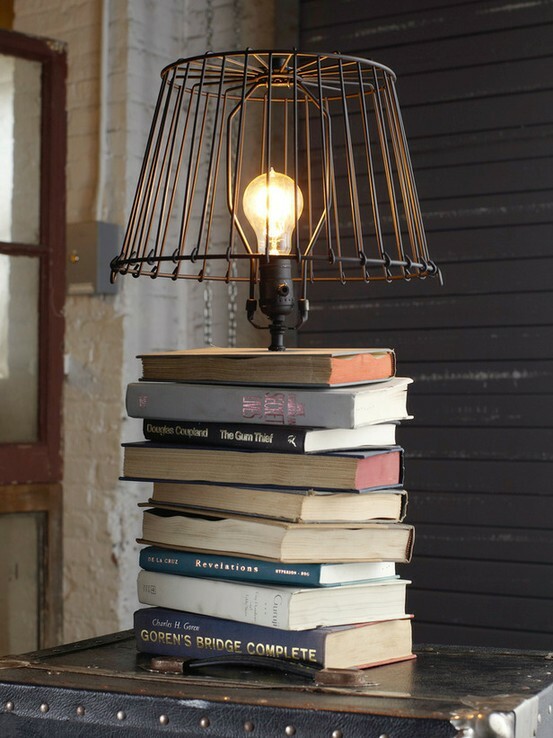 Or make a creative lamp holder!